Depending on the platform on which you use the app WhatsApp reveals a different economic model. 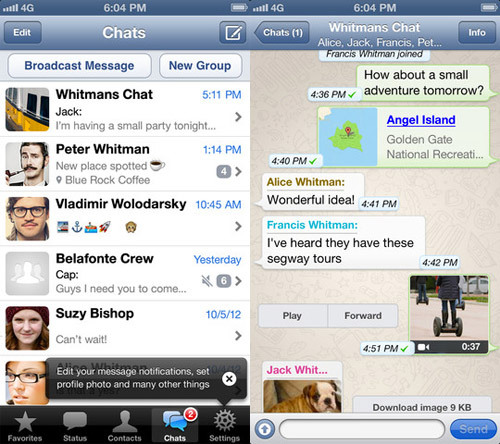 On iOS, the instant messaging software costs 1.14 $ to purchase, then free and unrestricted use. On Android, BlackBerry or Windows Phone, the app is free for one year, but must then pay a tithe to the year to continue to benefit from its services. WhatsApp switch his account to the iOS model that prevails on other platforms, warns CEO Jan Kum. The change will take place this year, without specifying a launch date. The new system will be modeled on other: free for one year, then it must then put their hands in the pocket (1 $ / year). Faced with many alternatives (whose own iMessage Apple), WhatsApp is preparing to play on iOS a tough, go for an economic model to another is not obvious, especially for a service if popular. The app has indeed 17 billion messages sent every day, And only 100 million users on Android. Koum also said that there would probably be no desktop version of WhatsApp, despite requests. And support for video calls will not be this year.